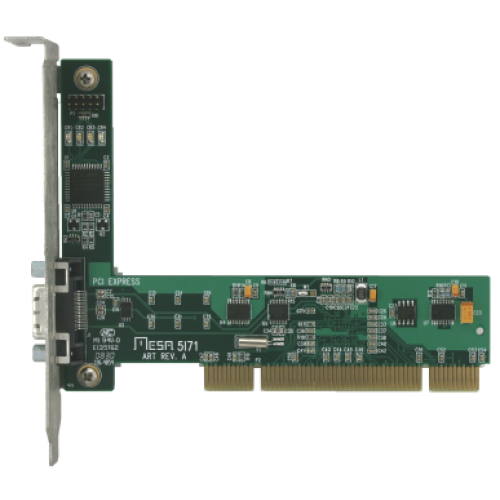 The 5I71 is a PCI to one lane PCI Express bridge interface on a standard PCI card. 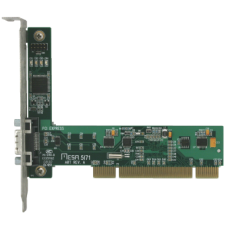 The 5I71 uses the standard one lane PCIE cable and can be used in conjunction with the 4I73 in order to access PC/104-PLUS peripheral cards up to 15 Meters from a standard desktop PC. The 5I71 is also compatible with the 3X20, allowing 144 points of high speed FPGA I/O to be remotely located from the host PC.